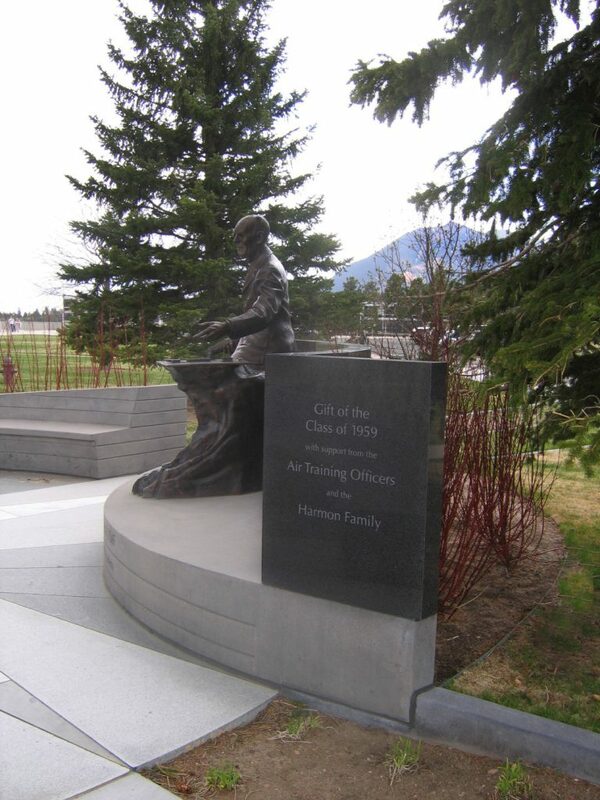 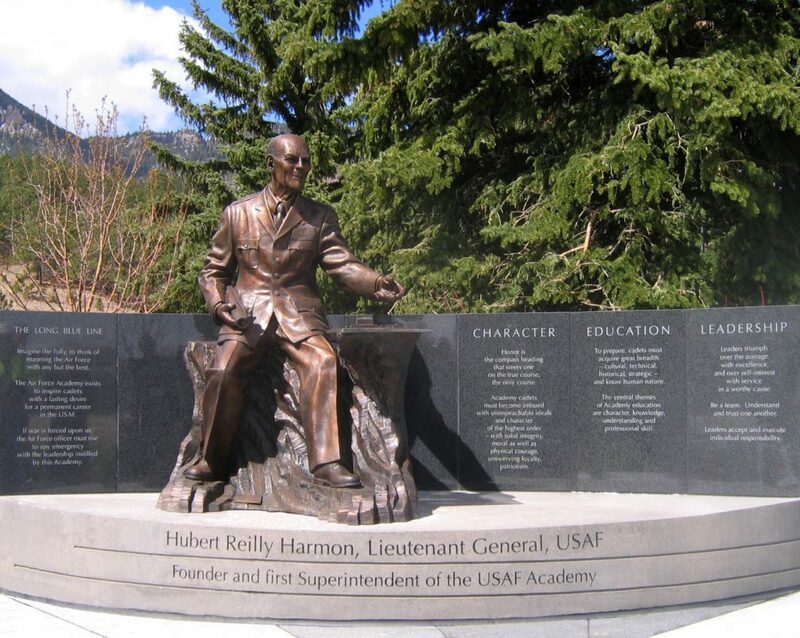 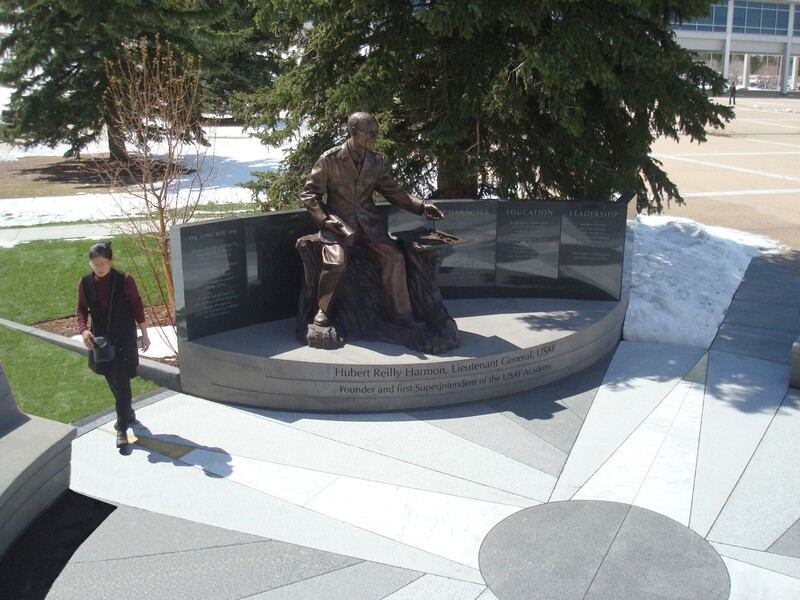 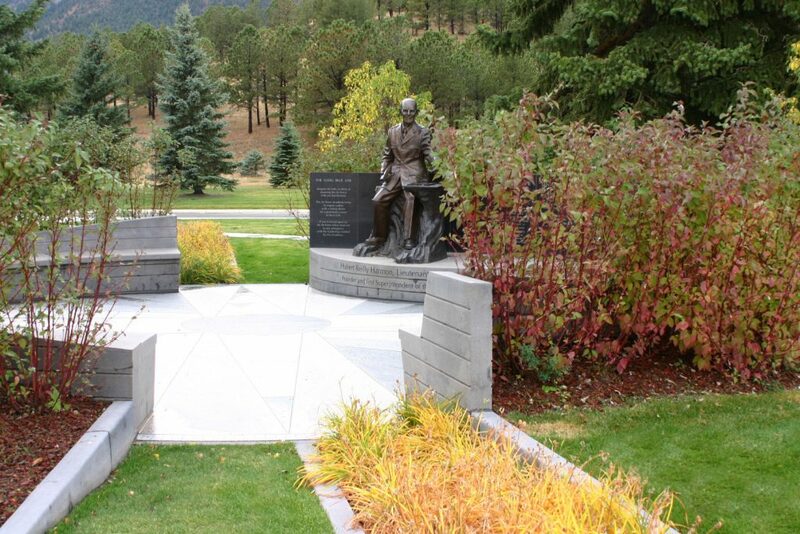 Collaborating with sculptor Mario Chiodo, PGAdesign designed a memorial to the founder of the U.S. Air Force Academy that also serves as a refuge on the sprawling campus — a quiet space where cadets may contemplate and reflect. 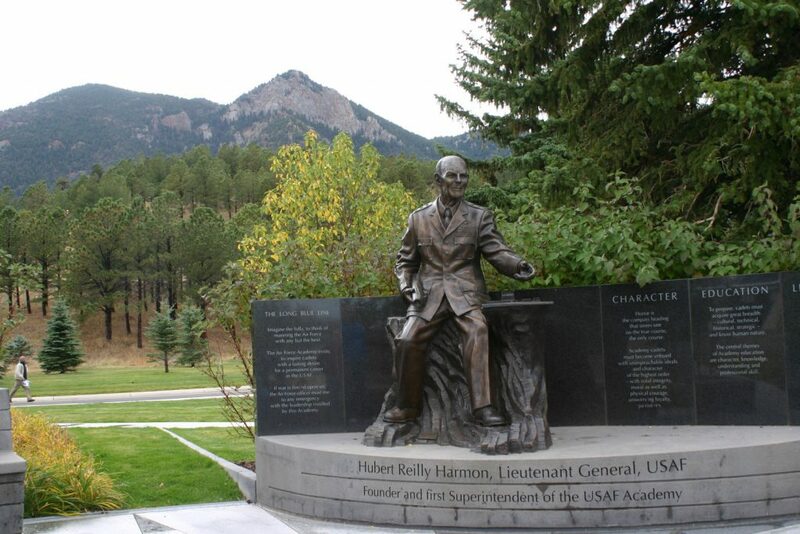 The sculpture of Lt. Gen. Hubert R. Harmon is placed off-center and crafted at a scale that makes it approachable, like the man himself. 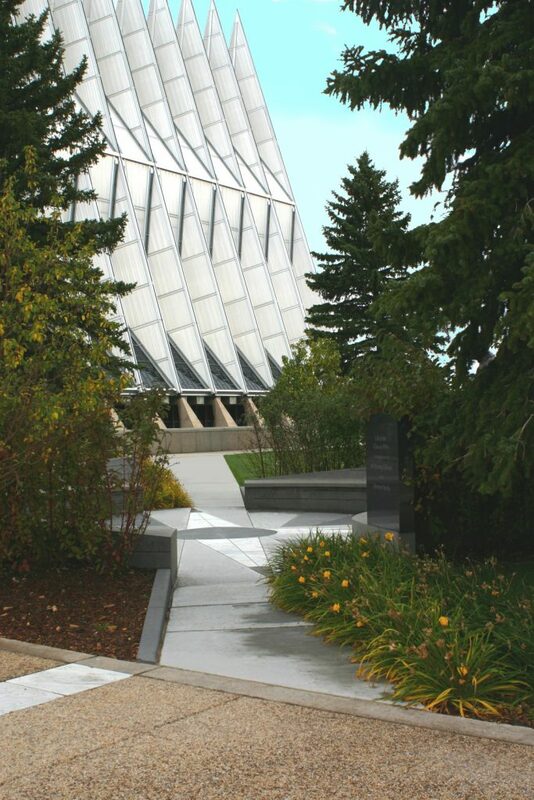 The circular design of the surrounding court — a contrast to the austere grid of the academy at Colorado Springs — is anchored to the campus by four walkways featuring stylized rays of light that symbolize the founder’s vision. 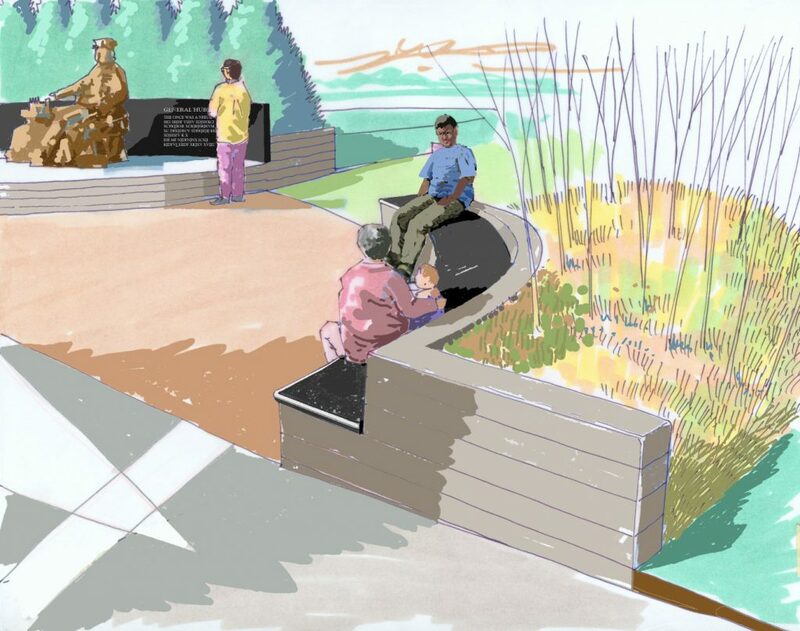 PGAdesign prepared conceptual landscape sketches and construction drawings for this thought-provoking memorial, and reviewed its construction.